This project is collaborative with Glenn Brock (Macquarie University), John Paterson (University of New England) and Christian Skovsted (Uppsala University, Sweden). 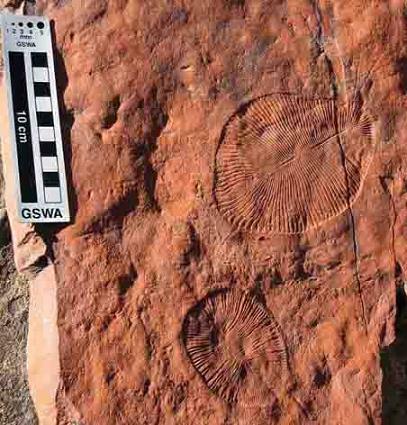 Representatives of nearly all the animal phyla living on Earth today made their first appearance in the fossil record at the base of the Cambrian (ca 544 million years ago). Considerable scientific effort has been directed in recent years to the elucidation of their apparently rapid proliferation, described as the "Cambrian explosion". The biological changes were accompanied by globally important physical and chemical changes, especially including increased oxygenation of the world ocean which likely was an important prerequisite for diversification of multicellular animals. Source rock data from: Klemme, H.D. & Ulmishek, G.F., 1991. AAPG Bulletin v. 75, p. 1809-1851. Research on the Cambrian Explosion is, however, challenged by the fact that conventional palaeontology is by and large limited to preserved hard parts of organisms and trace fossils, so we have relatively little information on the evolution of many soft-bodied organisms (~70% of typical biota) or the soft-parts of fossilised biota due to their generally poor preservation. In contrast, some molecular residues may be spared by the taphonomic processes leading to decay of organism and left in sediments. 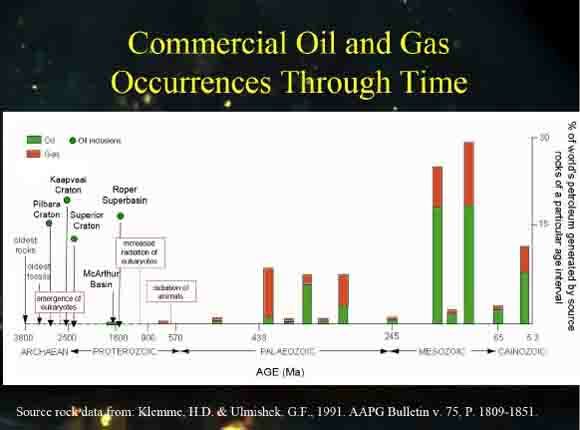 These geochemical fossils, provided they can be traced back to specific biological precursors, are regarded as "biomarkers" and have the potential to reveal information on their parent organisms as well as on the biosynthetic pathways that lead to their formation. This project aims at decoding the chemical signatures left by primitive metazoans in Late Neoproterozoic to Early Cambrian rocks in order to shed light on their evolution and biogeochemistry. One focus will be on determining novel and unusual biomarkers whose rigorous identification will be performed by organic synthesis when necessary. Another focus will be using laser micropyrolysis GC-MS to study the organic matter associated with fossils directly. George, S.C., Brock, G.A., Paterson, J.R., Skovsted, C.A., Fuentes, D., Volk, H. and Walter, M.R. (2007) Using laser micropyrolysis to decipher the chemical record of metazoans during the "Cambrian Explosion". In: Abstract Book 23rd International Meeting on Organic Geochemistry (eds Farrimond, P. et al. ), EAOG, Torquay, United Kingdom, pp. 688-689. Poster P285-WE.